CHARLOTTE, North Carolina (AP) - After seeing fans jam Wembley Stadium to watch the NFL for the past two years, the league is considering adding a second regular-season game overseas for the 2010 season. League commissioner Roger Goodell said on Tuesday the second game could also be played in London or another venue in the United Kingdom. The issue will be discussed at next week's league meetings, and could be included in a larger plan to add up to two regular-season games to the NFL schedule. "The fan reaction we've had in London has been extraordinary. We would like to feed that passion," Goodell said after speaking at the Charlotte Touchdown Club. "We have a great fan base in the UK. There have been discussions of taking the second game and playing it in another market in the UK. That's something that we'll evaluate." The NFL first staged a regular-season game in London in 2007, when the New York Giants beat the Miami Dolphins 13-10. 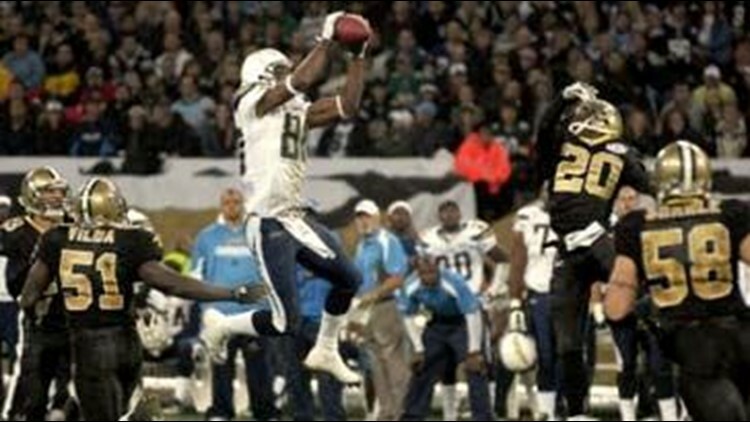 Last year, the New Orleans Saints beat the San Diego Chargers 37-32. Both games were sellouts, and fans quickly gobbled up tickets for this season's game between the New England Patriots and Tampa Bay Buccaneers on Oct. 25. While Goodell reiterated there are no plans to move the Super Bowl to London, he said a second regular-season game was drawing support from league owners. "I think the teams have had a great experience that have gone over," Goodell said. "We've been able to build on that and I think teams recognize it's an honor and a privilege to go over and play there. And it can be done without impacting the team negatively." However, some players have been critical of the overseas game because of the extensive travel involved in the middle of the season. One team also loses a home game in the arrangement, a potential competitive disadvantage. Saints coach Sean Payton was critical of the "sloppy" field conditions at Wembley Stadium and the logistics involved in playing a "home" game in London. The league did give the Saints and Chargers byes the week after the game. The Patriots and Buccaneers will also have a week off after this year's London game, which counts as a home game for Tampa Bay. NFL Players Association chief DeMaurice Smith could not immediately be reached for comment on the prospects of a second game overseas. "The negative is taking the home game away from the fans," Goodell said. "It's another reason why potentially restructuring the season and changing two preseason (games) into regular-season (games) can be something that we find is beneficial to the fans."